We’re Trying To Keep Calm Because IHop Is Starting With Home Delivery! International House Of Pancakes in Cyber Hub is starting home delivery. We can’t wait to sit at home and binge on delicious pancakes. IHop opened this year with its first outlet in India in Gurgaon. They’ve recently partnered with Zomato and plan to start with home delivery within a month. 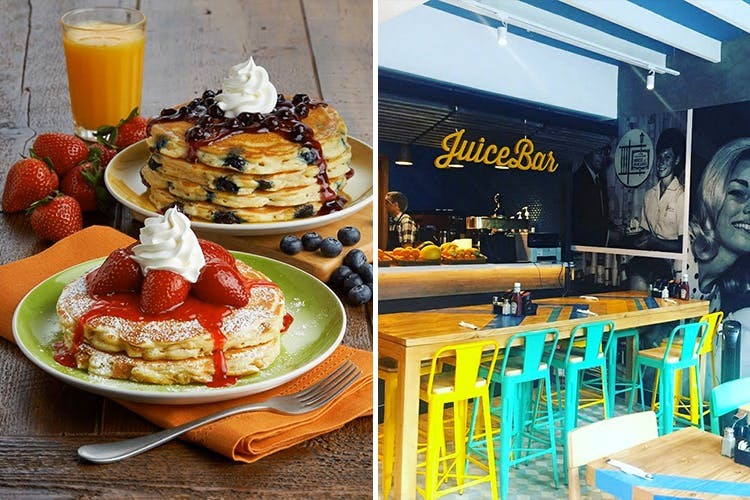 They opened on June 5 and have gained much popularity with their scrumptious breakfast foods. Their outlet in Cyber Hub is always packed with people coming to enjoy their crepes and waffles, and of course, their pancakes. They also do delectable omelets, pastas and monster burgers, among other things. Their large, generous portions keep us coming back for more every time, and now we get to order their food at home. We’re very excited about not having to go all the way to Cyber Hub to enjoy their food. We’ll keep you updated on when they’ll start delivering.